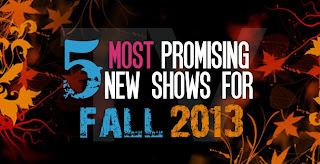 With every new fall comes the new wave of expectations in terms of the new television shows. Everybody knows that TV is never been as great as these days. With numerous TV networks currently on the air, it is really complicated to follow all of the new TV shows. 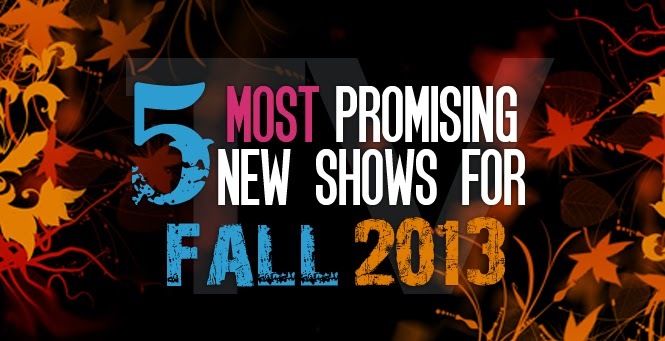 To help you through this amazing new TV season, here is our list of the most promising TV shows this fall. The ending of Breaking Bad was a marvelous, so the bar is set high for all the new shows. We hope that they are going to meet your and ours expectations. Although it starts from November, this TV show has already been called one of the season’s best new dramas. Almost Human is action-packed police drama set 35 years in the future centers around the unlikely partnership between a part-machine cop and a part-human robot. Executive producer of this show is Emmy Award-winning J.J. Abrams. It's been described as Blade Runner in form of television series. The expensive-looking sci-fi drama has charming advanced gadgets and physically powerful chemistry between Karl Urban and Michael Ealy. After The Avengers, a recently resurrected Agent Coulson continues to clash the forces of evil with the great S.H.I.E.L.D. agency. The "Avengers" spinoff delivers dramatic special effects, a varied and multifaceted crop of characters, and straight dialogue. The pilot received a standing ovation after its premiere at San Diego Comic-Con, and the ratings of the show is amazing. From Emmy Award-winning writer/producers Dan Goor and Michael Schur (Parks and Recreation) BROOKLYN NINE-NINE is a new single-camera ensemble comedy concerning what happens when a talented, but lighthearted, detective and his diverse group of colleagues get a new captain with a lot to show. This show brings TV's newest odd couple: Andy Samberg and Andre Braugher as an immature detective and his tough, by-the-books captain, respectively. So, no matter how the comedy does, it's already a winner. In this new NBC show James Spader plays Raymond Reddington, one of the most notorious criminals on the FBI's most wanted list. Show start as Raymond suddenly turns himself in and promises to help catch other elite criminals under the condition he's partnered with Liz Keen, a brand new FBI profiler. Judging by the trailer, this show will not only deliver on action, but also on intrigue. Whit so many open questions and theories this is one to watch this fall. Academy Award winner Robin Williams returns to series television in THE CRAZY ONES, a single-camera workplace comedy regarding a larger-than-life advertising mastermind whose unconventional methods and erratic behavior would get him fired... if he weren't the boss. Father-daughter ad execs (Robin Williams and Sarah Michelle Gellar) take on the business - and will be submerged to any level for success. You should watch this mainly because Williams' return to television and Gellar's infinite contribute of charm. Like this promising tv shows , Thanks .